I know I have blogged about Infant and Child CPR importance before and mentioned this one app, but since I was approached by someone with medical background and directly involved in CPR awareness and education, I would like to bring this subject up once again. Dr. Raymond Wu, being as surprised as me by the fact that not all parents are taught how to perform CPR on an infant, started looking for relatively easy ways to at least introduce parents to CPR. One thing led to another and he created a really cool, interactive iPhone/iPod/iPad app called BabyCPR. I had the pleasure of testing this app and I need to say it's a very interesting concept. Of course, nothing can replace a dummy/doll and a professional standing right next to you to teach you CPR, but this gets pretty close. I would say, much closer than any video I've seen so far. 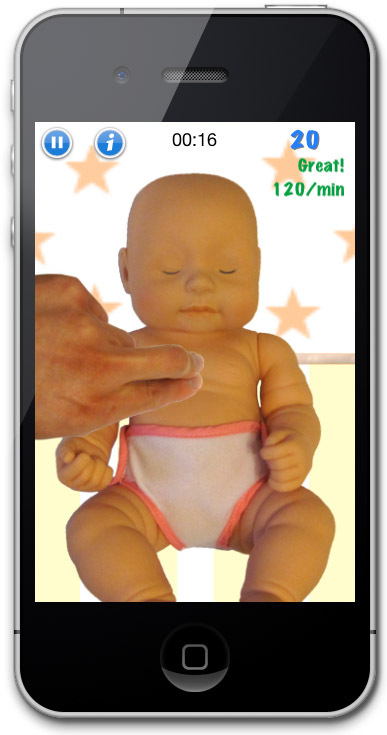 The app, BabyCPR, was developed by Transcension HealthCare LLC, and the developer can be contacted at contact@babycpr-app.com. Here's the link to their site. Chicago Parents Magazine and Two Peds in a Pod talked about this app as well, so I thought I would provide the links and you can check out the articles on your own. Learn and become more comfortable with the techniques and critical timing of CPR by doing hands-on practice on your device. 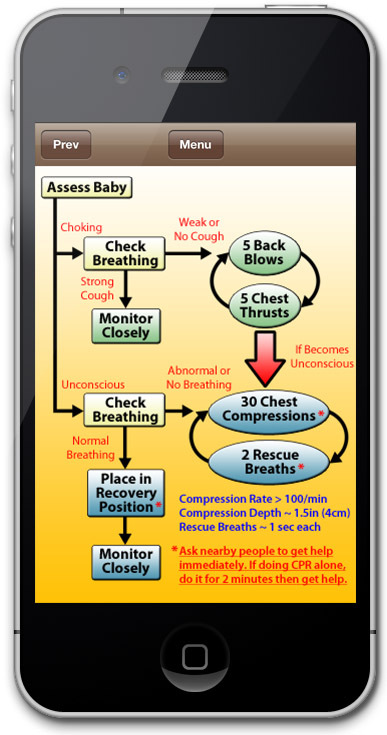 In BabyCPR, you can use the accelerometer and microphone to simulate rescue techniques such as chest compressions, rescue breaths, and more! BabyCPR makes it very easy to learn by walking you through the material step-by-step. This app presents the information in several different ways so that you can learn at your own pace. Go through the modes listed below and you'll be able to go from zero to hero in no time! The BabyCPR AI gives you detailed guidance as you learn and practice so that you can master even the trickiest parts of infant CPR. Feedback includes pacing of compressions, positioning of the baby, duration of rescue breaths, and more. It's the best way to get good fast! 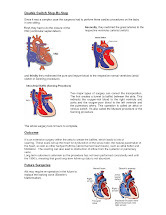 The BabyCPR simulator can create an unlimited number of unique cases so that you can be sure you're truly learning the material, not just memorizing case scripts. 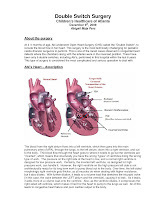 Infant CPR is appropriate for babies up to 1 year old. OK, this post is already long without me typing too much, so to sum it up. I liked the app. I think it's a great way to learn on-the-go if you don't have the time or resources to do an in-class training. CPR is not a joke and when it comes to it, it is really easy to freeze, panic and feel lost, and trust me it's not the right time to freeze. It is always good to get at least familiar with the techniques and steps. Seeing how it's done, seeing the steps and even, I know this will sound silly, but seeing a video or reading the steps when someone is calling for help may help you respond properly, in case you find yourself in such situation.